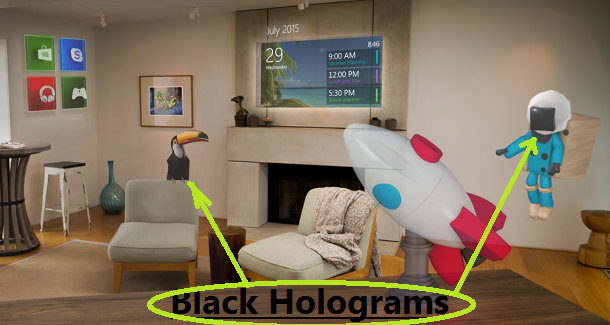 You are here: Home / HoloLens / What Is Mixed Reality, Really? Before we know about HoloLens and Windows Holographic, there are Virtual Reality(VR) and Augmented Reality(AR). VR targets at cutting the reality from the user’s view, and making sure user is totally immersed into the virtual world. That’s main source of thrill when you wear a VR headset. Yes, the content is important, but bungee jumping from 3D movie theatre is different from on a VR headset. 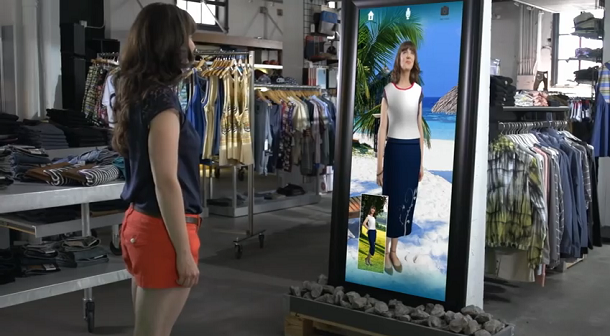 AR, on the hand, focuses on overlaying virtual objects onto the real world. At the current state, most workable or demoed AR implementation are very light overlays on top of what the user see in the real world. Mostly numbers, text, diagrams, very light in image and video, let alone 3D. 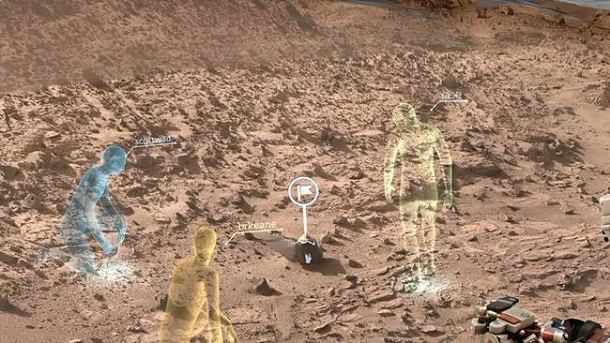 There are reports that some AR implementations, like CastAR’s or Magic Leap’s, put holograms on the real world, but those are far from workable products. 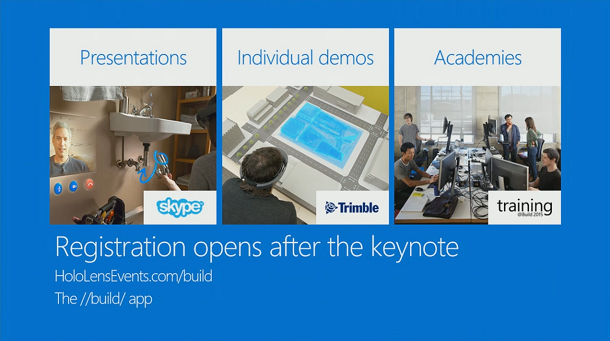 HoloLens, or Windows Holographic in general is called Mixed Reality during their announcement in the Windows 10 event. 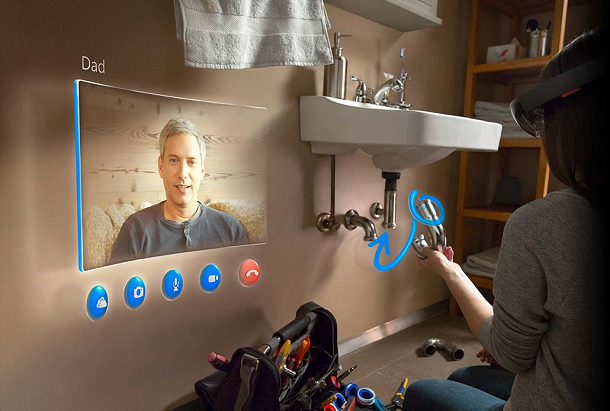 Microsoft didn’t invent the term Mixed Reality, but it is probably the first time this term is brought in the spot light of tech scene. As I have mentioned in another post, Mixed Reality is indeed used in Windows 10 Holographic APIs (in form of namespace Windows::Mirage::Media::MixedRealityCapture). This confirmed it’s formality. So, is this “Mixed Reality” thing (I am the first to use it in capital, but that doesn’t matter) a mere marketing trick or word game? Yes and no. 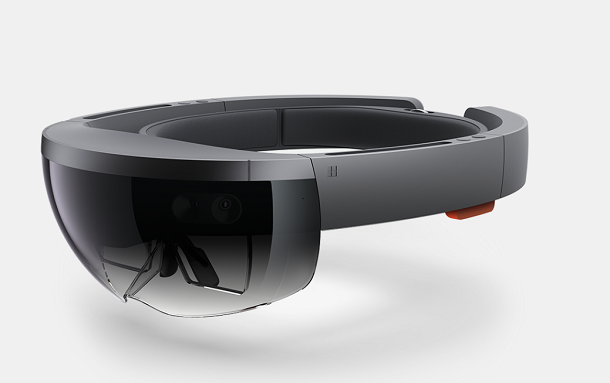 In my opinion, “Mixed Reality” fits HoloLens better than Augmented Reality. For one, conceptually, AR and VR are in two opposite of the spectrum. Of course, everyone agree that they can overlap with each other, but in reality, if you turn a VR into AR, it defeat a purpose of VR. On the hand, AR has no intention to bring VR effect to reality. HoloLens doesn’t care. Please look at the two images above: In the top image, the wearer sees very minimum amount of virtual objects. Over 90% of her field of view, or her mind is in real world. In the second image, however, the viewer sees 100% of virtual world. 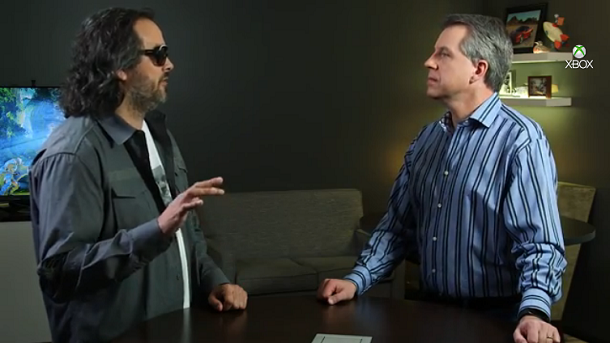 Should we call HoloLens VR, or should we call it AR? It doesn’t matter, since it can scale from 0% virtual to 100% virtual (my number may go extreme a little bit, but that doesn’t change the argument). 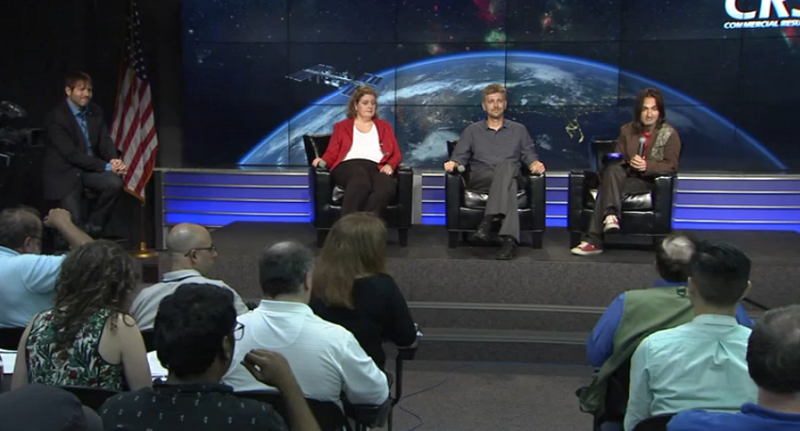 Important thing to the user is what problem it’s trying to solve, not how it is called. 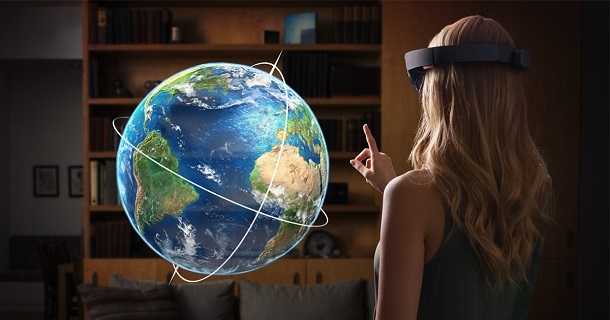 HoloLens tries to bring the virtual world to the real world, so that they don’t just look real, you can interact with them like real. To me, the term AR and VR don’t catch the essence of HoloLens.